The cottage offers accommodation on one level with allocated parking across the road. The front door opens to the sitting and dining room which is light and airy with plenty of space to relax or to dine. The kitchen is well equipped with all you need for your self catering stay. A double bedroom and shower room are at the rear of the property to complete the accommodation. There is an outside area dedicated for use by the guests which is within the garden of the adjacent house.Free wifi. Bed linen and towels provided. Close to the South West Coast path and the East Devon Way with other splendid walks on the area. A dog is welcomed at an additional charge of £20 per week or part week, payable on arrival. Retired couple, enjoy the quiet peaceful life here in East Devon. 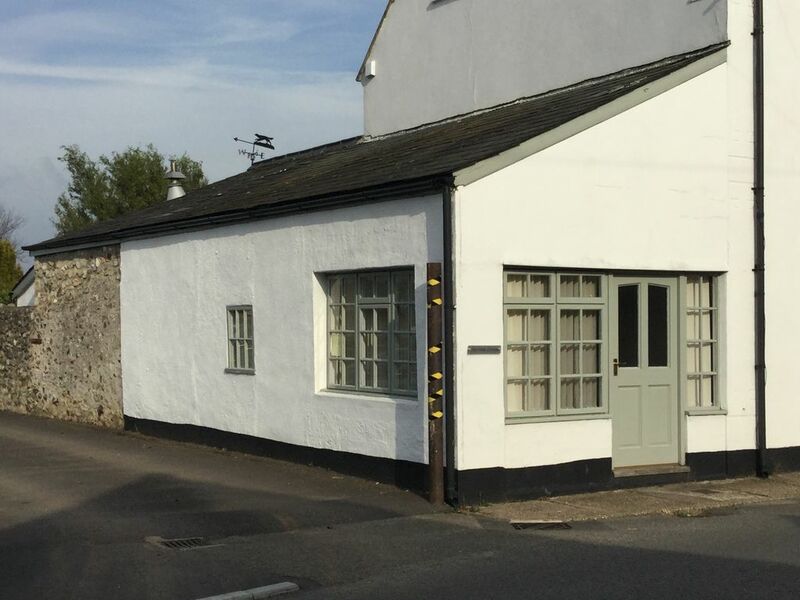 Riverside Cottage is a pretty, characterful addition to the adjacent Victoria House right in the heart of the pretty and picturesque village of Axmouth. This ancient small village is adjacent to the Axe River and estuary and nestles in a steep wooded valley surrounded by rural unspoilt countryside. The famous South West Coast Path lies on the edge of the parish and offers spectacular views across Lyme Bay and the Undercliff. The village is fortunate to have two excellent public houses; The Ship and The Harbour, offering a selection of locally sourced produce and local beers. The Axe Estuary Wetlands is just across the river and is well managed as a wildlife reserve. A large number of birds congregate to feed on the mud flats and salt marshes and these can be viewed at close quarters from one of many hides strategically located along the reserve. Hand, bath provided for each guest. Tea towels also provided. Just got back from a three night stay and absolutely enjoyed every minute. Owners have thought of everything as far as stuff in the Cottage and information about the surrounding area. Cream Tea left by owners was a real treat ! Cottage war and cosy, very friendly owners. Excellent walks and amenities in the neighbourhood. We were a bit worried about the road in front of the house at first, but in the end it was no problem. At night the village is completely calm and quiet and during the day we were mostly gone anyway. The cottage itself has everything you need and is very clean. But the best thing about it are the very friendly owners. Ron and Christine greeted us with scones and tea and were very helpful in every possible way. Lovely cottage, ideal for two people wanting to explore the area or a nice relaxing break. It is a credit to Ron and Chris, the owners, who do everything they can to make your stay as perfect as possible. There are two pubs which both do food, one is literally next door. The picturesque River Axe is a very short stroll down the road, and Seaton is ideal for shops and nice walk on the sea front. Would recommend Riverside Cottage and we will definitely be making another visit. We had a great holiday. The cottage was very well equipped and the welcoming cream tea was a lovely touch. It is located in a pretty village, with two pubs which both serve very tasty food.